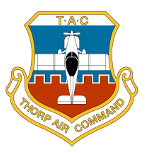 Thorp Air Command - T18.net • View topic - weight difference between Fiberglass & Carbon Fiber cowling? Post subject: weight difference between Fiberglass & Carbon Fiber cowling? I'm just curious if anyone would have an estimate of the weight savings of building the cowling and other "glass" parts out of carbon fiber instead of traditional fiberglass. Really it comes down to the weight savings and how much more expensive is carbon fiber vs. traditional fiberglass if it is worth going the carbon fiber route. Would carbon fiber hold in more heat inside the cowl than fiberglass? I know that aluminum cowl is the best alternative I think. But I'm not sure I have the skills required to construct a cowl out of aluminum. But carbon fiber and fiberglass appear to be the same sort of process albeit with different physical materials. That is cut the fiber, place in/on a mold and put on the proper resin. repeat with as many layers as necessary. Many years ago at an EAA chapter meeting they made up a vacuumed bagged sandwiched product. It was for demonstration, but was a thin piece of foam which was sandwiched between an upper and lower fiberglass cloth. Added the resin and vacuumed bagged. The result was an amazingly stiff and VERY light panel. To the point that it makes me wonder if say the baggage floor and even side panels could be made the same way. Resulting in a very light and I presume durable panel that could have a light cloth contact cemented to it so the interior panels so made would be light and attractive. Has anyone tried such a process? My glass cowl (old polyester resin, 4 piece, Cheeky Style, with scoop) weights 26 lb. I had a fiberglas poly resin cowl and made the aluminum. Weighed both for comparison and the Aluminum weighed 10 plus pounds less than fiberglas. Another interesting tidbit is the aluminum lowered the CHT temps about 50 degrees and the oil 10 degrees. I knew that the aluminum would probably be much lighter. I also knew that the aluminum would conduct heat away better. At least I have a data point now for the weight of a fiberglass cowling at 26 lbs. What I don't have is an estimate as to what a carbon fiber cowling would weigh. If it is only like a pound and it costs a lot more money to make out of carbon, it wouldn't make sense I don't think. I know that fiberglass is a very poor conductor of heat. What I don't know is if carbon fiber is any different than fiberglass. I'd LOVE to have an aluminum cowl. But they are about as rare as hen's teeth and those who have them would probably not ever part with them. At least not without a kings ransom. And it seems that the skills to make the cowl out of aluminum is an art more than anything. And I'm no artist!!!! I have a chipmunk cheek polyester fiberglass cowl. It is heavy, oil soaked, and rubbery. Quarter turn fasteners have ripped out on the bottom of the left cheek. The "Ram Air' scoop and filter assembly are horrible. I'm thinking about replacing the bottom skin, which seems the simplest to fabricate in aluminum, and going forward from there. That will also let me try something different for the air inlet. I think the original cheek cowl is a good design, so I just need to work up my skill level. Scott - if your cowl is that far gone, and you don't mind glass, consider a whole new set from Cubes. I've seen what he sells and they are really high quality. They also have a joggle around the opening now which stiffens up the edge. Maybe Cubes can get a weight for you, but they would almost certainly be lighter than mine. His are epoxy and well made. Mine are polyester and they were very generous with the resin. In fact, I picked up two new cowls this week. Yes they are excellent quality. Our fiberglass is finally being done by a professional shop. Talking about fiberglass cowls going bad: one of the best suggestions I got somewhere was to paint it glossy on the inside. That can't amount to too much weight. I only sanded it a little and didn't make a big effort. Paint repels the oil and makes it easier to wipe clean. We all know it's going to get dripped on some time or other, it adds up and may eventually make fiberglass soft. Anything you can do with doublers or extra material around the fasteners will help for long term wear too.